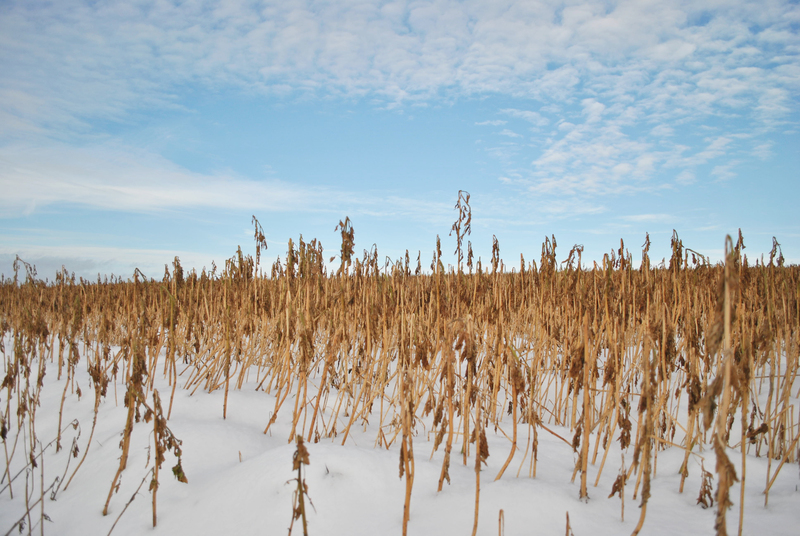 New research says tall, leafy cover crops could reduce snow reflectivity and trap solar heat. BLOOMINGTON, Indiana – Every winter, farmers in Indiana and the rest of the Midwest are encouraged to plant cover crops as a way to keep their land fertile, keep weeds away and help control pests. But new research indicates certain cover crops could have a previously undiscovered effect on winter temperatures. Scientists at the National Center for Atmospheric Research say farmers who decide to plant tall, leafy crops could warm the surface in their growing region by nearly 5.5 degrees. That warming could provide unforeseen consequences on areas already being affected by climate change. Danica Lombardozzi, project scientist at NCAR, led the team that made the discovery. They looked at several computer models simulating different levels of cover crop planting. Farmers in Indiana use cover crops on at least 1.1 million acres of their land every year. Farmers in Indiana use at least 1.1 million acres of their land for cover crops every year. Cover crop benefits depend on what type of crop is planted. To prevent soil erosion, scientists have found that barley, cereal rye, sorghum-sudangrass and cowpea work best. The best crops for building up soil are cereal rye, sorghum-sudangrass, sweetclovers and woollypod vetch. Farmers have found that oats, cereal rye, buckwheat, radishes, berseem clover, cowpeas, subterranean clovers and woollypod vetch are efficient at fighting weed growth. Lombardozzi’s model simulations compared four different cover crop scenarios in snowy fields. In one, no cover crops were planted. Two other scenarios looked at short cover crops. The final scenario looked at tall, leafy cover crops. Lombardozzi says models suggested that the surface temperature on fields with short cover crops did not significantly increase, but fields with tall, leafy crops did show a significant increase in temperature. The researchers found that crops that poke out of the snow reduce the reflectivity of the surface, preventing snow from bouncing solar heat back into space. Taller, leafier crops absorb the heat and warm the surface. Researchers looked at model simulations of several cover crop scenarios to determine changes in surface temperature. Although many researchers have studied how cover crops affect soil health, erosion and other factors on the ground, Lombardozzi’s study is the first to study how cover crops affect temperature. “As with all scientific research, there is some variability in the magnitude of these responses, and it depends on a lot of environmental factors and a lot of management factors,” Lombardozzi said. Lombardozzi says she wants to encourage research in cover crop surface temperatures to get a more robust sense of what those impacts are. Climate change is expected to raise worldwide temperatures by up to 2 degrees Celsius between 2030 and 2052. Scientists from the Purdue Climate Change Research Center have researched how climate change will affect agriculture in the state of Indiana. They found that warming due to climate change reduced corn yields during the summer and reduced the number of days suitable for spring fieldwork. Warming temperatures due to climate change also caused plants to flower before frost damage risk ended, decreased forage quality for livestock and poultry, and resulted in an increase in weeds, pests and disease pressure. Higher temperatures due to cover crops could amplify the effects of climate change. Lombardozzi says there is no question that cover crops are beneficial, and she hopes her research encourages farmers and other stakeholders to figure out how to use cover crops in a way that will mitigate its effect on an already changing climate. O Christmas Tree, o Christmas "Tree"
Cover crops are extremely beneficial in a variety of ways, but new research indicates that tall, leafy crops could warm surface temperatures by up to 5.5 degrees Fahrenheit. Dr. Danica Lombardozzi, project scientist for the National Center for Atmospheric Research, found that tall, leafy crops reduce the reflectivity of snow and absorb solar heat.